Unlocking Pandora's Box: once you label me, you negate me. Over the last few weeks, we've been studying vectors in math class. When we were introduced to the topic, someone said might have a little bit of trouble with this unit. The reasoning behind this? Well, apparently, girls can't read maps. This kept coming up until throughout the entire unit until a friend of mine showed everyone in the class this satirical video by the BBC. The concept that girls can't read maps is a perfect example of a gender stereotype. Gender stereotypes are still fairly common, even though most of them have been disproven over and over again. When we had our vectors investigation, it was a girl who got full marks. So much for girls not being able to read maps. There are three basic types of gender stereotypes. The first one has to do with domestic behaviours. How many times have you heard someone say "women belong in the kitchen"? I've heard it quite a lot, and I always end up getting into a heated argument with the person who says it. This stereotype stems from the woman's traditional role as the homemaker. Just 100 years ago, women were expected to stay at home, doing housework and caring for children. Even though women now make up 58.8% of the workforce, this stereotype stays firmly in place. Interestingly enough, most of the world's best chefs are men. Even in my year at school, the best chef is a guy. His cakes and cookies are to die for. The second basic gender stereotype has to do with the personality traits of men and women. Men are considered to be self-confident and aggressive, while women are supposed to be passive and quiet. This stereotype is so completely not true that I can't even believe it's still around! Personality traits don't depend on what gender you are, they depend on what kind of person you are. Of course, there will be some women who prefer to sit back, but there are those who are far more confident. Examples of strong women include Margaret Thatcher, Hilary Clinton, Indira Gandhi, Amelia Earhart, Cheryl Sandberg and Angelina Jolie. All of these women have achieved great things and have certainly disproved the idea that women are supposed to be unassertive and compliant. The third common gender stereotype is with regard to occupations. Women are supposed to have 'delicate' jobs, while men tackle all of the harder work. There are plenty of women who are excellent architects, doctors and scientists. In fact, the person who discovered that hydrogen is the most common element in the universe was a woman. Similarly, there are plenty of men who are excellent ballet dancers and fashion designers. Careers should not be associated with genders- instead, people should be free to go into whichever field they choose without facing any kind of sexism. These stereotypes need to be challenged. The media is still filled with a lot of negative sexism. For example, most action movies are dominated by males and female characters are pushed to the sidelines, only serving the purpose of being a beautiful, yet mindless love interest. There are still several instances in advertising where women are overly sexualised in order to sell a product. 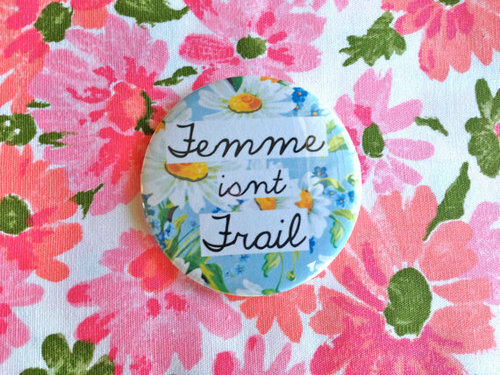 Gender stereotypes will never die out if mass media continues to enforce them. However, there are some amazing, strong female characters from fiction. The first person that comes to mind is everyone's favourite archaeologist, Doctor River Song from Doctor Who. She's super-intelligent and she is very confident and very strong-willed. She doesn't rely on the Doctor- instead she fights (and generally wins) her own battles. And of course, let us not forget how sassy she is. Another example could be Det. Kate Beckett, from Castle. Again, she does not rely on Castle. She works incredibly hard, never stopping until she achieves her goal. Her determination and independence are two of her defining characteristics, and she is in no way passive or quiet. 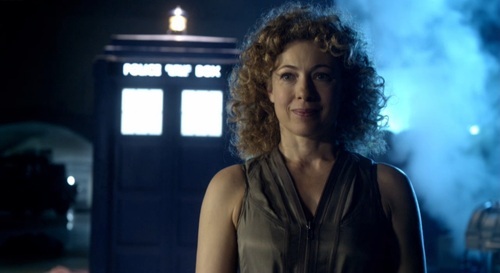 River Song in all her awesomeness. There should no longer be place for gender stereotypes. As Vinita Bali, CEO of Britannia said, “I firmly believe the debate about gender should be replaced by a debate about competency. I don't wake up every morning believing that I have to behave differently because I am a woman. I think about the best way to deliver what I have to deliver and just do it. I can't believe that your teacher would say that! I think there should be more strong, independent women in programmes such as Doctor Who that go out to such a wide audience because then it wouldn't be so amazing when there is a woman who can look after herself! That quote at the end just says it all really, great article! I totally agree with what you said. There should be more strong, independent women in programmes that go out to such a wide audience. I totally agree,it makes me so angry that these stereotypes still exist, when they aren't even true or accurate! yes the media should challenge these stereotypes! I so agree! Stereotypes drive me mad!!! My sister and I shaved our heads to raise money for cancer- since then she has been labelled a boy twice. Girls can have short hair too!